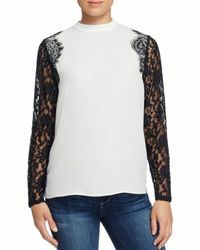 See more Lace Long-sleeved tops. We check over 450 stores daily and we last saw this product for $58 at Bloomingdale's. 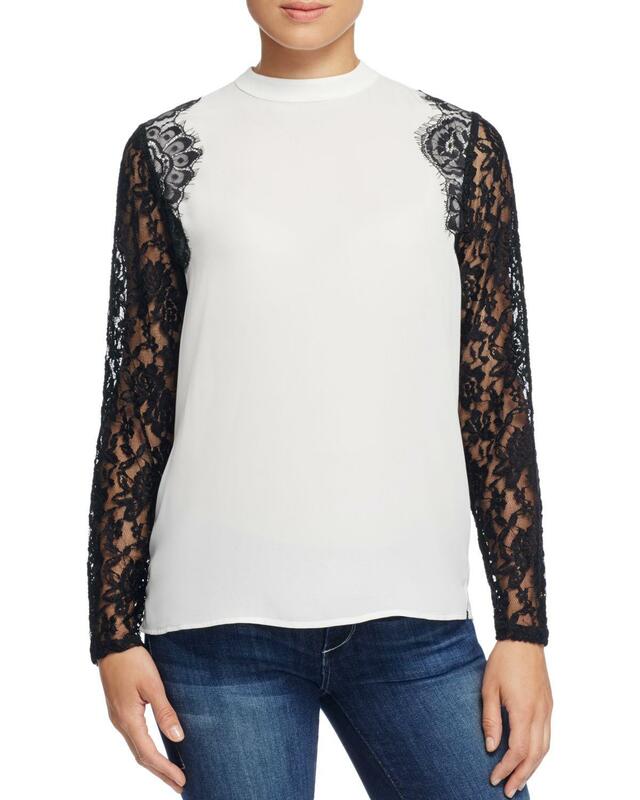 Romantic lace-spun sleeves lend an feminine flourish to this polished high-neck top from Dora Landa. Fits true to size, order your normal size. High neck, contrasting sheer lace sleeves. Five-button back keyhole closure. Approx. 25" from back of neck to hem, based on a size small. Model measurements: 5'10" height, 33.5" bust, 23.5" waist, 34.5" hips, wearing a size extra small. Fabric Content: Polyester; lace: nylon. Country Of Origin: Imported. Product Care: Hand wash.